On March 8, Wilfrid Laurier University’s Graduate Students’ Association (GSA) hosted its annual general meeting where Natalie Gleba was elected as the new president and CEO for the 2017-18 term. Gleba will be succeeding Samantha Deeming, current president and CEO, after a transition period that ends on May 1. The election occurred after a two week campaign period between Gleba and fellow candidate, Michael Johnson. Both Gleba and Johnson were vetted by a GSA board committee to run as candidates after a two week call for applications based on their leadership experience and vision. Deeming’s areas of focus during her time as president were advocacy efforts, such as implement-ing better Teaching Assistant (TA) training and improving scholarship opportunities. “A lot of the things that I came into the term with was focusing on the small improvements we can do, so reaching out to marginalized students, providing better programming to our part-time students as well as students off of campus,” Deeming said. There were also areas that Deeming didn’t make as much progress as she had set out to. “We would’ve liked to make a little more progress on our advocacy efforts … a lot of the advoca-cy pieces get started under one term but you’re not necessarily here to see the finished result,” Deeming said. Deeming will continue to serve within the GSA as a member of the board of directors, after she was acclaimed alongside Jeanault Lasnier and Amandeep Singh. She will also be completing her MSc in integrative biology and will be beginning a PhD in educational leadership and policy. Gleba noted that this was her second time campaigning for president, after campaigning for the position in 2014. 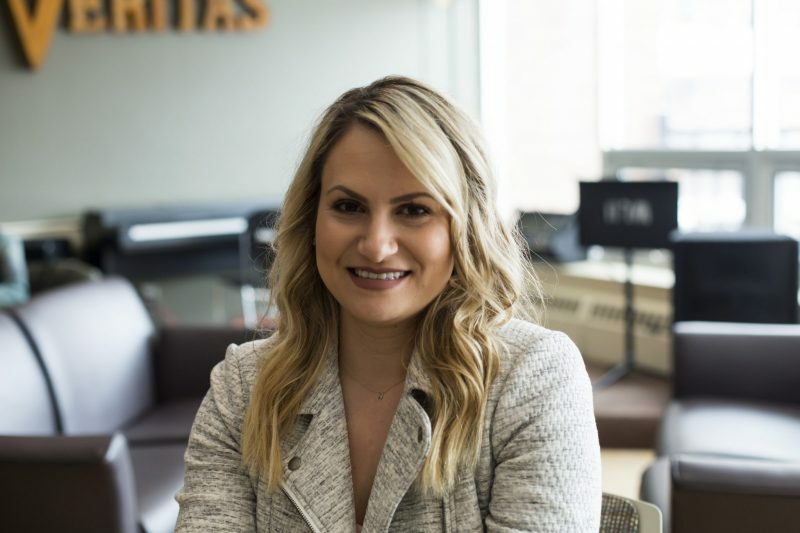 Gleba has been attending Laurier for nine years: first for a BA in communication studies, an MA in communications studies and now an MBA with a focus on marketing. “I’ve been involved with the GSA for five years now, so I’ve worked in many different capacities and roles,” Gleba said. The first actions for Gleba will include hiring a group of students to help lead the association. “[The goal of the GSA is to] make sure that students are well supported through their graduate student experience,” Gleba said. Additonally, there were two referendum questions presented at the GSA’s annual general meeting. One question proposed lowering the PRISM fee for graduate students from $125 to $65 per term. Another proposed implementing a mandatory fee to the Ontario Graduate Student Alliance (OG-SA) of $2.37 per year. Deeming noted that with the upcoming Provincial election, it would be important for the OGSA to have the resources necessary to lobby for graduate students. Both of the referendum questions were answered in the affirmative.